This year’s cocktail menu invites you on a journey through the great musical genres with ingenious cocktails inspired by the iconic caricatures of Gerald Scarfe. The new menu at Scarfes Bar is the ultimate symphony of superstars presented in an interactive stage menu. 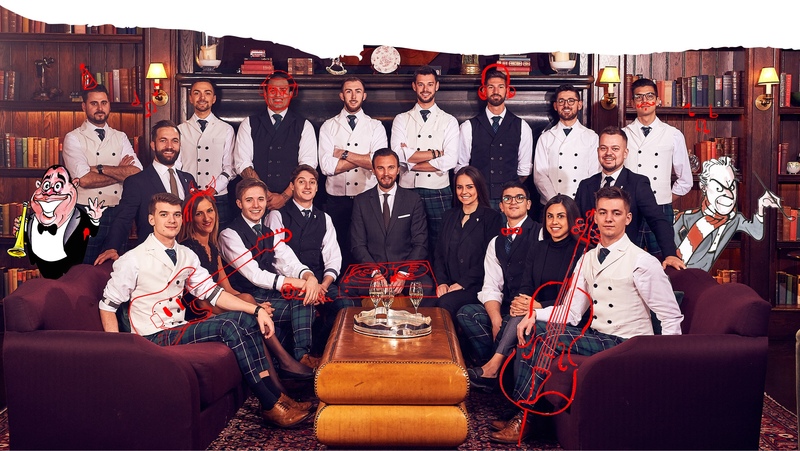 Lead by Head Bartender, Yann Bouvignies and Director of Bars Martin Siska – for the first time, the entire bar team have been involved in the menu creation, from bartender, to waiter, barback and host, resulting in a collection of pleasing drinks for all palates.